New Year’s week I was playing catch up with all of my recent issues of food magazines and came across this ridiculous bowl of sin (read: heaven) in the November 2013 issue of Food & Wine. 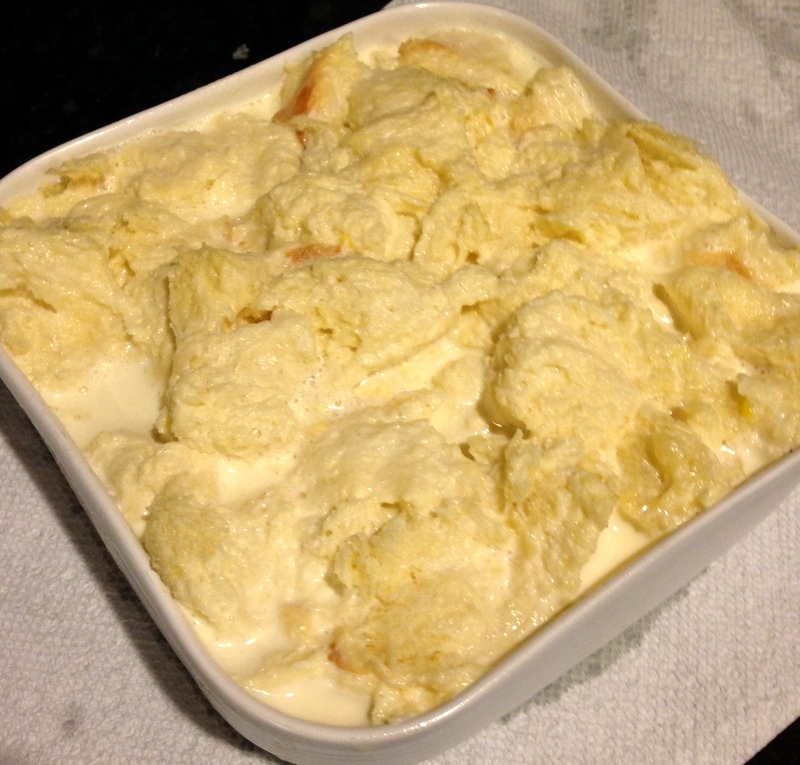 The recipe is by Jeni Britton Bauer, who makes Jeni’s Splendid Ice Creams, and it uses melted vanilla ice cream for the custard base. It was kind of transformative. I made this last Wednesday, at the tail end of the frigid temperatures we saw in New Jersey and the insane polar vortex affecting folks north and west. 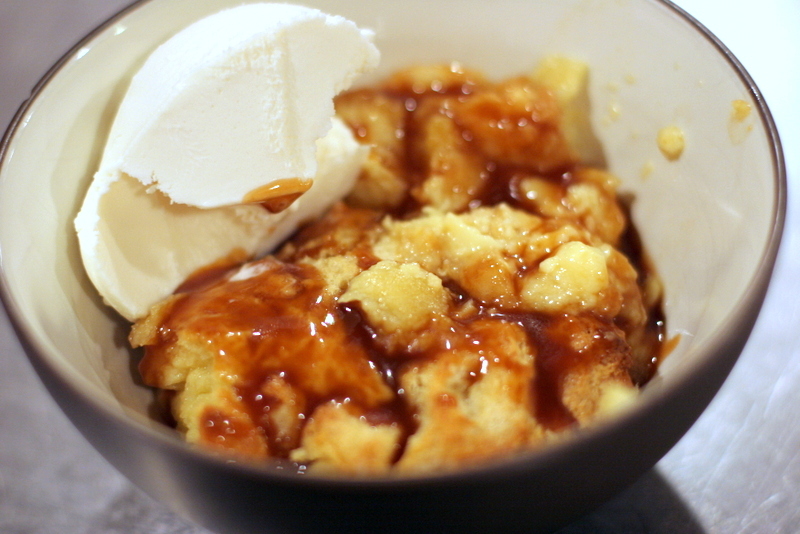 It was just a night for an amazing bowl of pasta and some seriously sticky sweet dessert. And this was the kind of dessert that make your eyes go wide and smile grow big on the first bite. 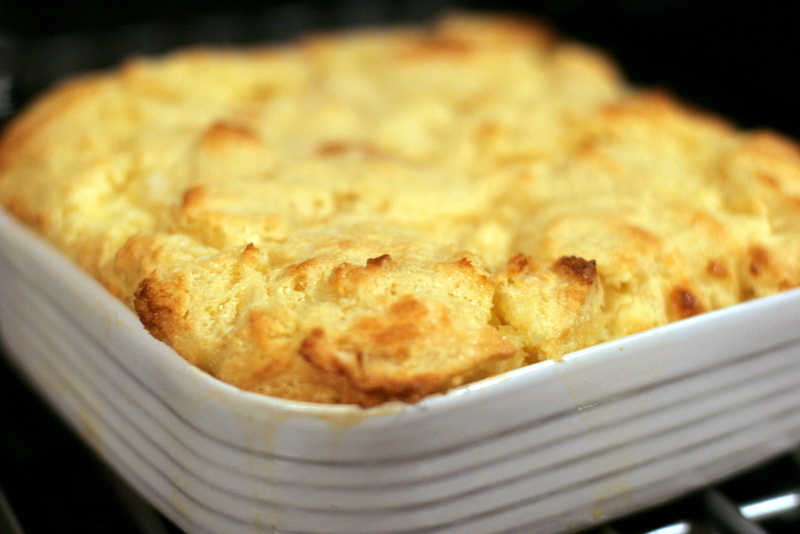 MAKE THE BREAD PUDDING Preheat the oven to 350°. 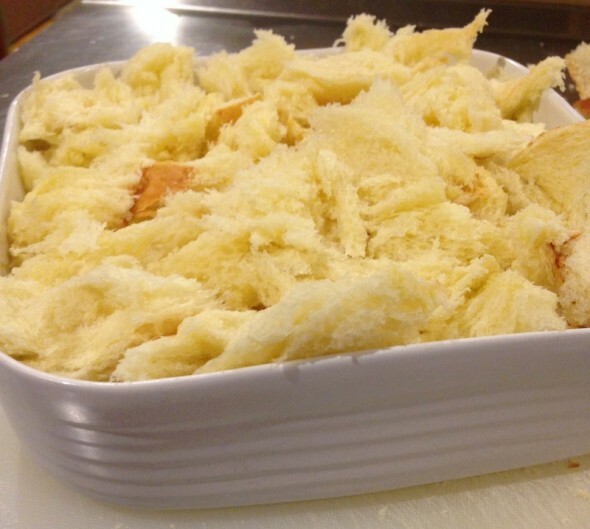 Butter a shallow, 2-quart baking dish and spread the torn brioche in it. 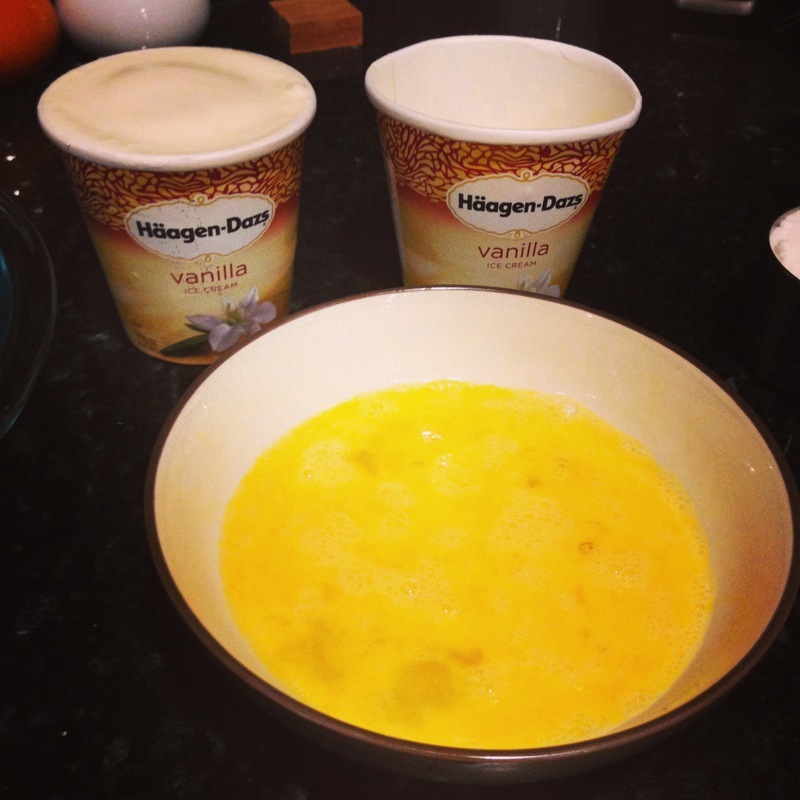 Scoop the ice cream into a glass bowl and warm in the microwave in 20-second bursts, stirring, just until melted. (I looked for Jeni’s ice cream but couldn’t find it anywhere). Whisk in the eggs, sugar and 3/4 cup of water. 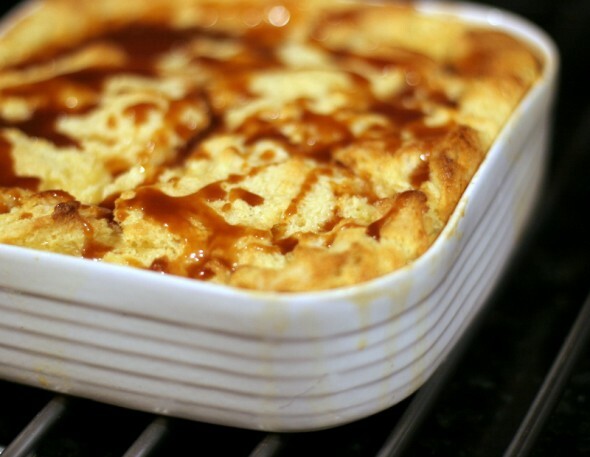 Pour the custard over the brioche and let stand for 15 minutes, pressing to submerge the bread in the custard. 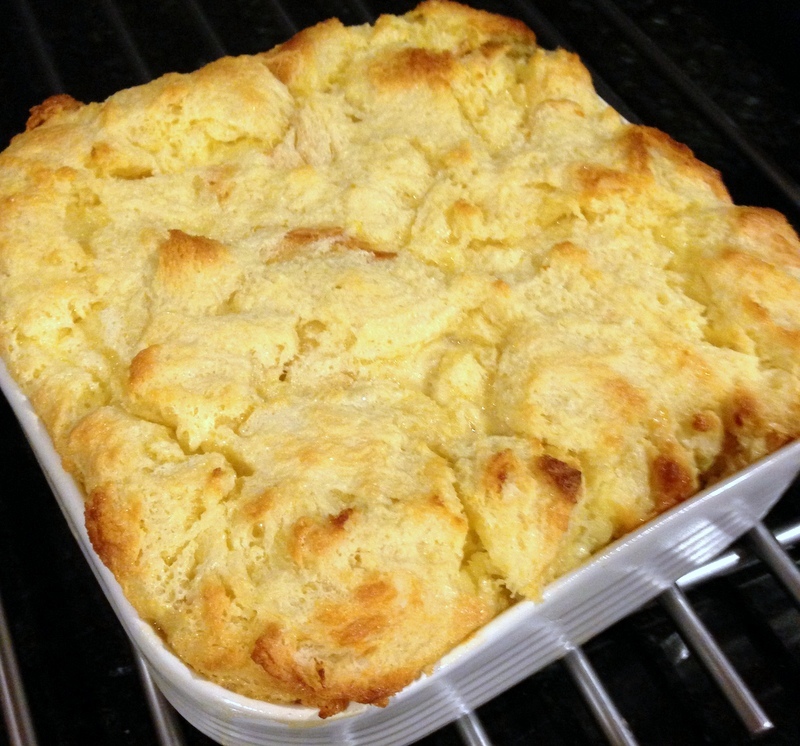 Bake the bread pudding for 30 to 35 minutes, until the top is browned. 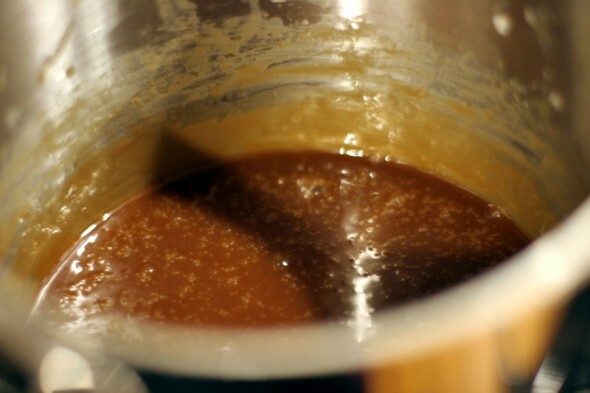 MEANWHILE, MAKE THE CARAMEL SAUCE In a medium saucepan, combine the sugar with 2 tablespoons of water. Cook over moderate heat, swirling the pan and brushing down the side with a wet pastry brush, until the sugar dissolves. 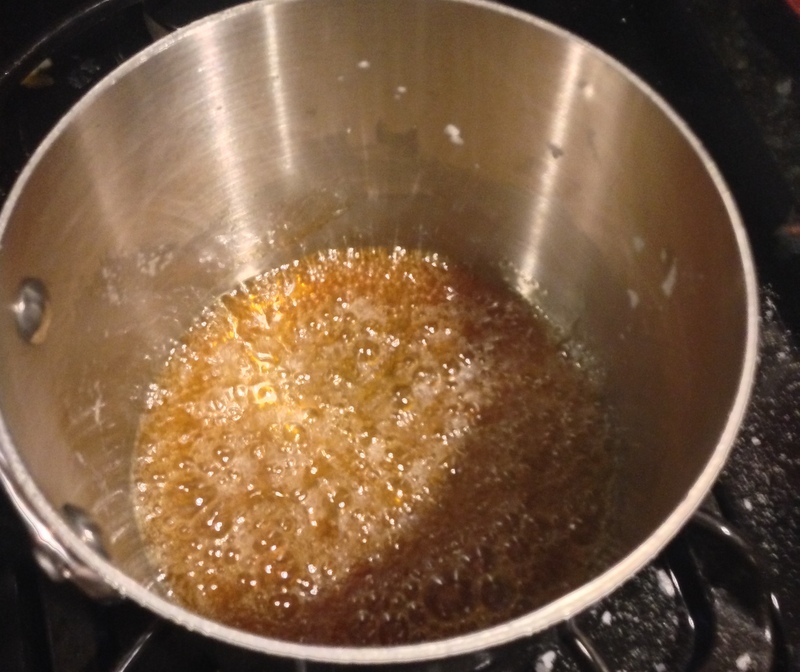 Cook undisturbed until a medium-amber caramel forms, about 5 minutes. Add the cream (be careful, it may boil vigorously) and simmer, whisking, until the caramel is smooth, 1 to 2 minutes. Let cool slightly, then stir in the whiskey and salt. 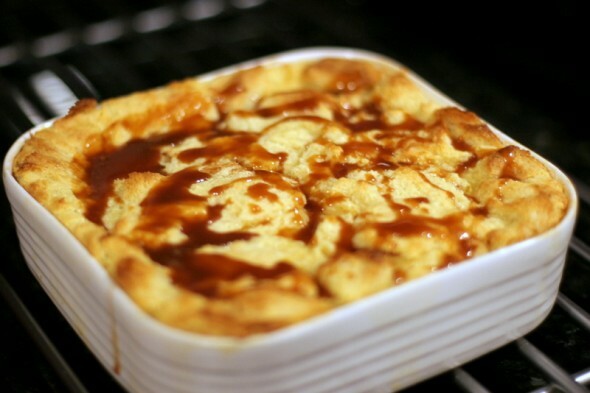 Serve the warm bread pudding with the caramel sauce (I actually drizzled the sauce all over the bread pudding because I just could not stop myself from doing so). Make Ahead The caramel sauce can be refrigerated in an airtight container for up to 1 week. Rewarm before serving. Can I use baguettes instead of brioche? 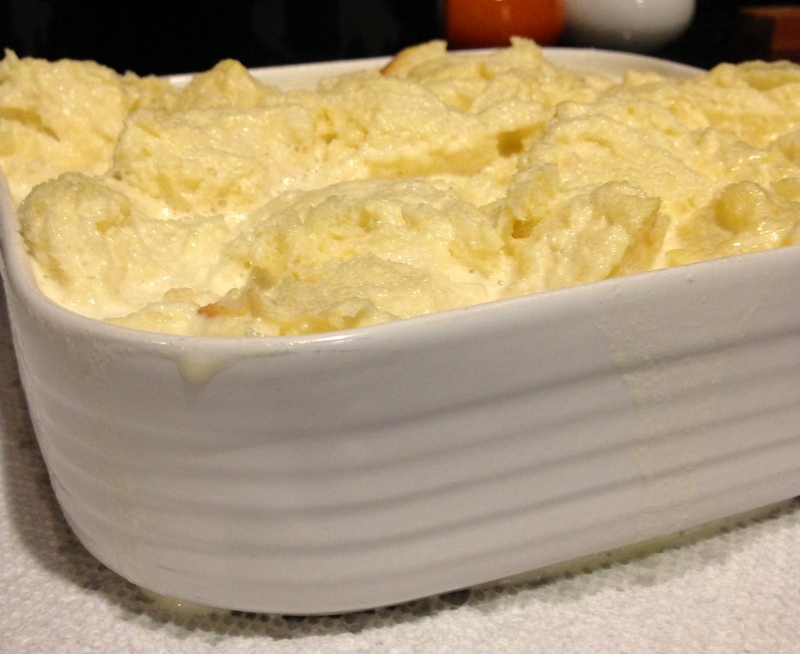 I followed the same recipe using bread.. it turned out great! Thnx for sharing the recipe..
Isn’t it delicious? I love this one, and I like the bread idea!